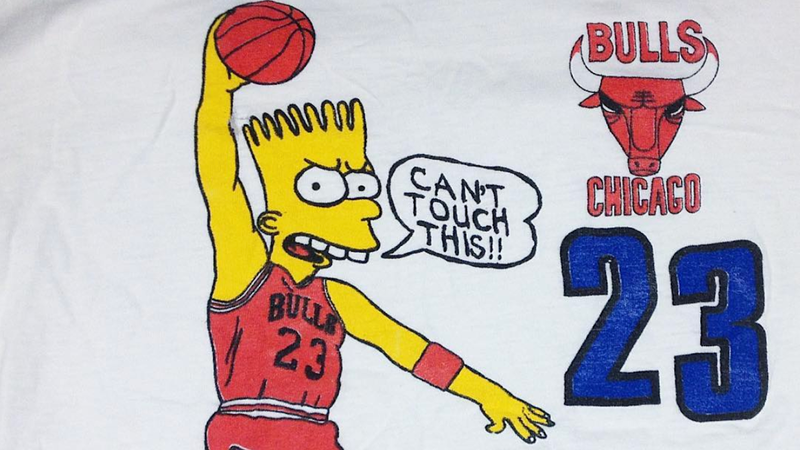 Nothing reeks of 90s nostalgia like a bootleg Simpsons t-shirt. These crudely drawn knock-offs were must-have items for any fan of the show who did all their clothes shopping at flea markets and second-hand stores. Nowadays, bootleg Simpsons-wear is a little harder to come by, either because styles have changed or copyright lawyers have become a bit more vigilant. But, luckily, we’re now free to scroll through a sprawling collection of odd-shaped Barts on this expertly curated Instagram account, which was brought to our attention by A.V. Club commenter Bart Fargo, appropriately enough. Next, the promotion of a very specific local event that seems to have nothing to do with The Simpsons but, hey, why not throw the Bart-man on there? And finally, the bizarrely common practice of changing Bart’s race and making him say things that are no where near his recognizable catchphrases.